With the advent of new and improved phone apps, the handheld GPS is nearly being replaced by the iPhone (or Android). While one particular mobile mapping system has ruled the roost for several years, there are two others I will mention that are worth looking into further. (Above) The integration of topography lines over satellite imagery makes the hybrid feature of onX very useful. This is available in the free version of the app! The app that onX created is certainly my favorite mobile mapping app, and it has many uses for the run-and-gun deer hunter. Aside just having high-quality aerials at your fingertips, onX overlays topo lines for a useful hybrid map. Two main components that I have come to enjoy on the app are the offline feature and the website integration. With the offline feature, you are able to download a map and use your phone as you would a GPS unit. This works great when cell phone signal will be spotty, and it saves phone battery too. Then, when you are back at home scouting from a computer, you have the ability to mark waypoints on their website. This feature has saved me the time I used to spend transferring waypoints from Google Earth onto my GPS unit. Plus, the website maps also have the hybrid and topo map overlays! I believe that using onX has made me a better hunter, as I can now scout and save waypoints from any location, whether it’s offline in the woods or during a TV commercial break on the couch. They offer both a free and paid app, with the main difference being access to parcel ownership information and other advanced overlays. The paid membership only costs $30 per state annually, which is a bargain if you use these overlays. Regardless, you can try out a premium membership of onX for a week free by visiting their website, I don’t think you will regret it! Another mobile mapping app that has a few additional options is HuntStand. It gives you basic mapping capabilities, but also allows you to post observations and harvests. Additionally, the app provides weather information as well as the HuntZone feature, which interactively shows the direction that your scent is likely to drift based on the wind conditions. Finally, HuntStand provides parcel ownership information in the same manner as onX. HuntStand is a free app, which makes it useful for those who either don’t want to pay for parcel information or want to have an app that provides them mapping along with weather updates. The only disadvantage to HuntStand is that it does not currently have a feature that allows you to save maps for offline use, but for a completely free app it is definitely worth consideration! The final app that I will review is slightly different because it is not made exclusively for hunters. Avenza is an extremely useful mapping app that I have used in the past for both hunting and research. 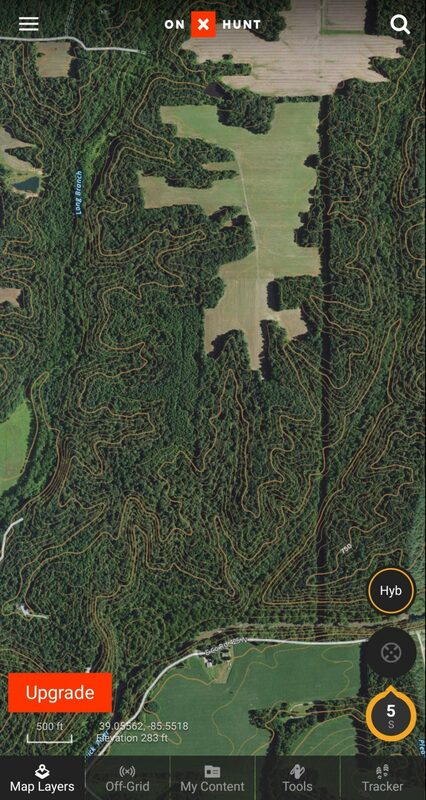 While it is not quite as easy to use as onX or HuntStand, it is the only one that allows you to create your own maps and use them without cell service. I create my maps using GIS, then save them as a Georeferenced PDF. Avenza allows you to store up to three maps on your phone with the free version, and you can create waypoints in a similar manner to the other options mentioned. There are other ways to create maps for Avenza, and some state agencies have WMA maps that are compatible with Avenza. It may not be the app for everyone, but if you have specific map characteristics that neither onX or HuntStand have, Avenza may work well for you. 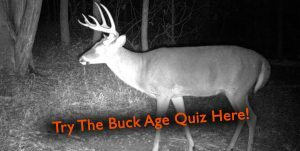 I hope this blog has given you a few apps to look into and download, as the ability to scout with a phone has completely changed the way that I hunt. Having the power of mobile mapping in a device you always carry comes in handy, whether you’re deep in the woods or wanting to digitally scout on a lunch break at work.